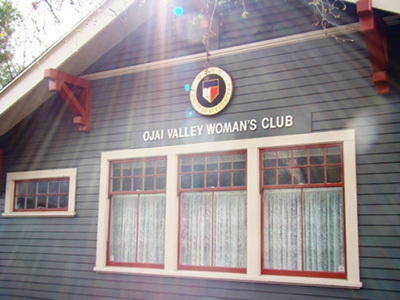 in their clubhouse located at 441 E. Ojai Ave. Prospective members are always welcome. Our mission has always been to raise money for worthy causes in our community. One of our primary objectives in moving ahead and into the 21st century is to repair and renovate our Club House. The building is a Historical Landmark, and we want to preserve it and make it more attractive for other organizations to rent and thereby provide revenue for the causes we support. Donation to the "Libbey Bowl Project"
Donation to "Search and Rescue Dogs"
Contributions to the Forest Service's "Pennies for Pines"
Purchase of an oven for the International "Solar Oven Project"
Distributed sunflower seeds for the "Save the Bees Project"
Donation to "HELP of Ojai"